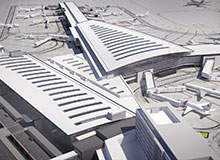 The company’s custom-built seamless seating and sound-absorbing lights are specially made for airport terminals and currently found in Keflavik Airport, Iceland, as well as Calgary International Airport, Canada. The furniture has also been installed in Belgium’s Rive Gauche Shopping Centre among others. Green Furniture Concept’s seating features seamless designs that offer extra space and can be modified for each individual project. 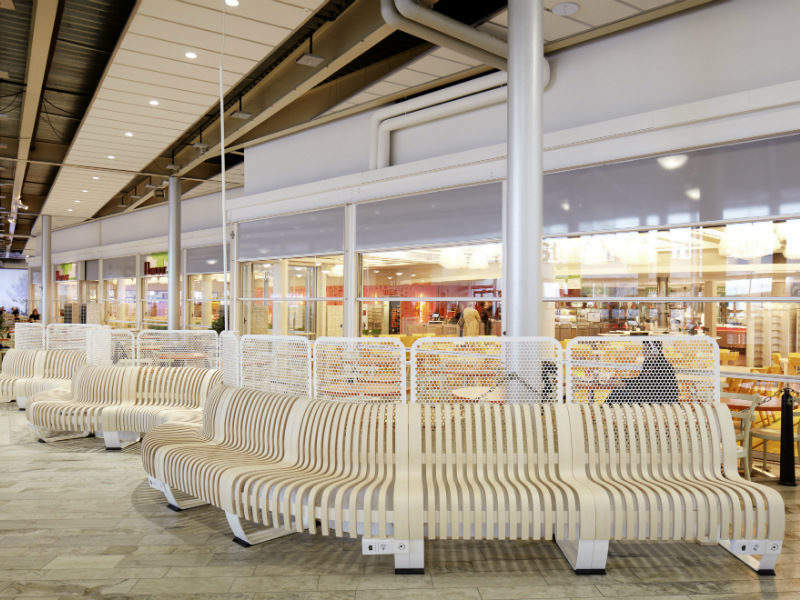 The company provides customers with seating that is moulded to complement their chosen public area in relation to size and flow of people, while the shape of the seats enables comfort. 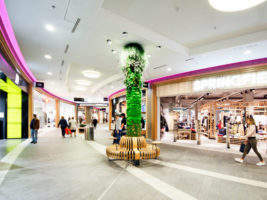 The configurable Nova C series ensures that all large spaces are used efficiently through its low ecological footprint and can be uniquely modified in terms of colour and accessories. There is no need for the unit to be attached to the floor and is instead conveniently held in place by its own weight. 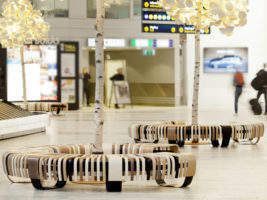 The airport seating can also be taken apart for easy cleaning or reconfiguration. 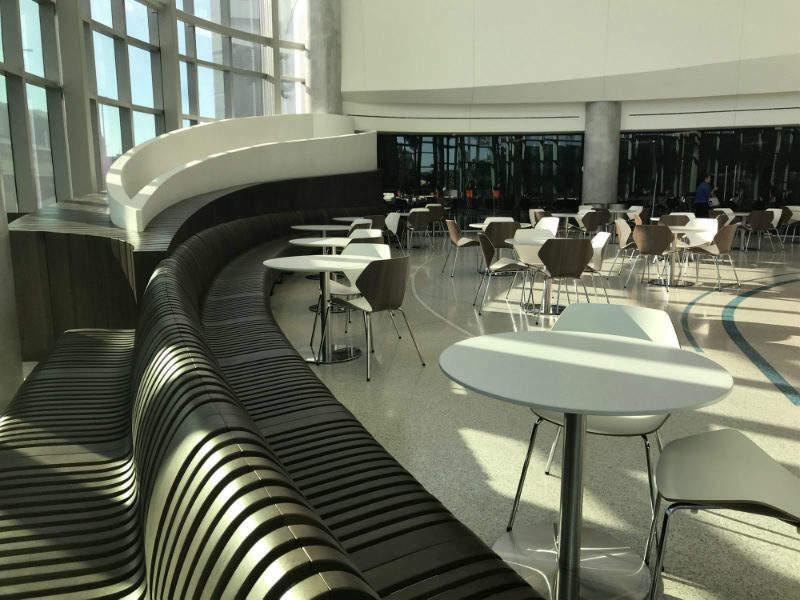 The Nova C bench’s standard designs are straight or curved at angles of 45°/90°. 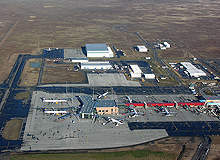 However, clients can also choose any degree of curvature from 0°-45° for custom orders. The Nova C Series is available with or without a back. With its natural hard wax oil finish, the bench is simple to maintain and has a new appearance at all times. 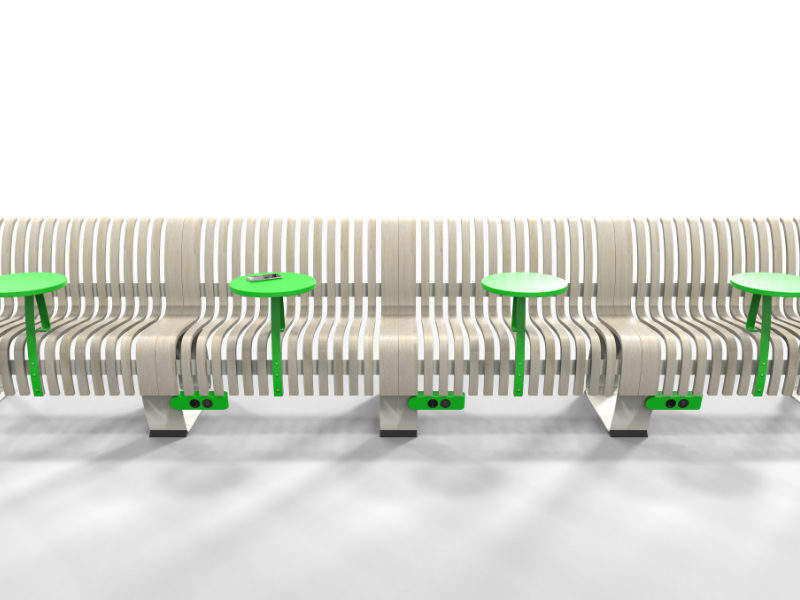 Green Furniture Concept provides the upcycled IOU series as part of its seamless seating range, offering an even more urban and bespoke design for unique developments. 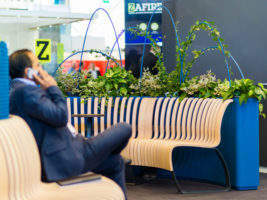 Radius planters and dividers connect to each other and the Nova C/IOU seating to form an environmentally friendly bench partition that decreases pollution and airborne dust levels. 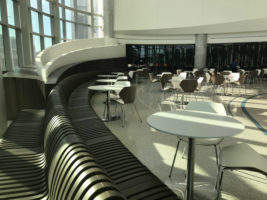 Planters are appropriate for inside use and can be modified according to the customer’s seat/terminal design. They can also be used alone in any chosen shape. Radius space dividers are available to attach to the Nova C Back and can be moved in accordance with the seat at any time. 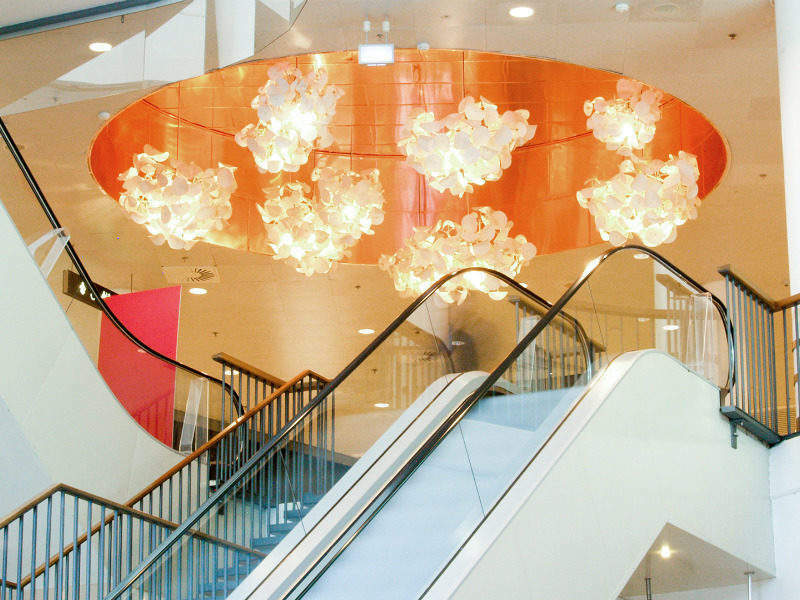 The dividers feature customisable patterns that create a see-through effect. 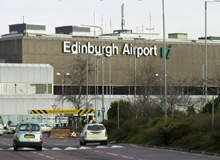 They can also be supplied without this to offer extra privacy and space to place an image or advertisement. Dividers are produced using solid, powder-coated steel and can be distributed in any colour. 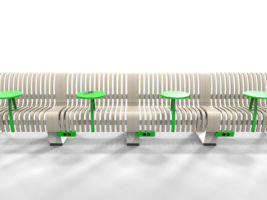 Green Furniture Concept has created a leg-mounted charger unit that allows the public to access flexible power and data supply. The radius charger can be fixed on any bench leg, including those already installed, and features a snap and screw system that makes the unit easy to attach or remove. The unit has a selection of outlet / USB combinations, while it comes with a standard black frame and socket that can be modified to suit all colour preferences. 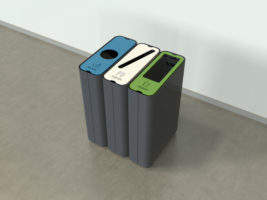 An important part of Green Furniture Concept’s eco-friendly product range is its solid metal 80l Radius recycling bins. 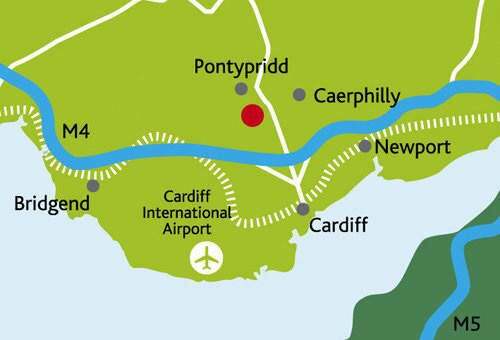 They have a weighted design that keeps them in place and can be joined together to ensure that recycling is as efficient as possible. Each internal container features handles for simple emptying. The Radius recycling bins are made using powder-coated steel and are supplied in any colour. The lids can be produced in a different shade to the body of the bin. 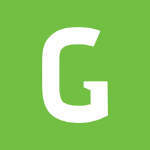 Standard recycling text and images are available, including ‘Glass’, ‘Paper’ and ‘Trash’, while custom options can be applied for the top. 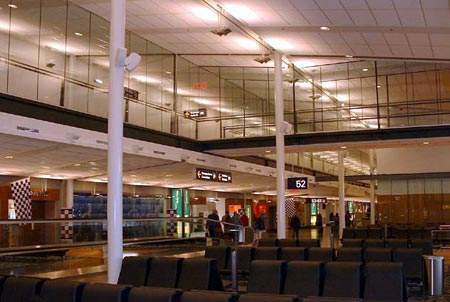 Green Furniture Concept also produces sustainable acoustic lighting that creates a visually and acoustically pleasing airport environment. 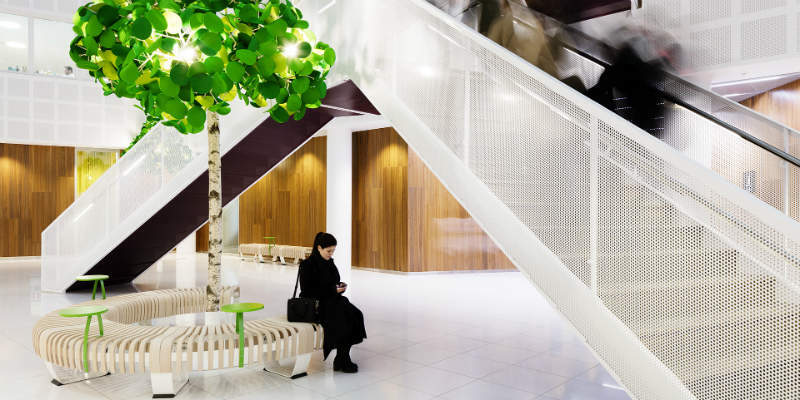 The company’s Leaf Lamp series includes the tree and pendant, providing visual and acoustic benefits with its natural ambience shaper. 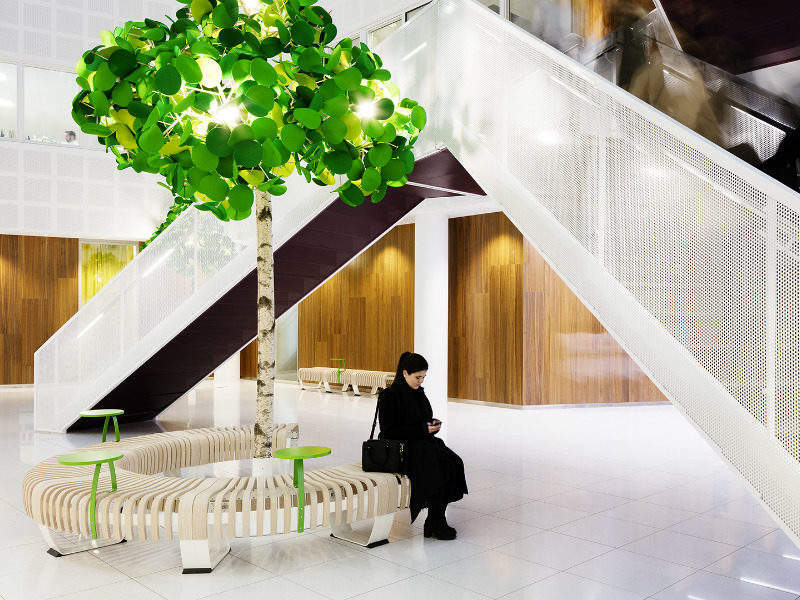 The lighting has a Swedish birch trunk and branches, while its foliage is made up of pure wool felt leaves. Due to the foliage’s labyrinth of wool felt, the Leaf Lamp series offers first-class acoustic-absorption and improved sound perception. 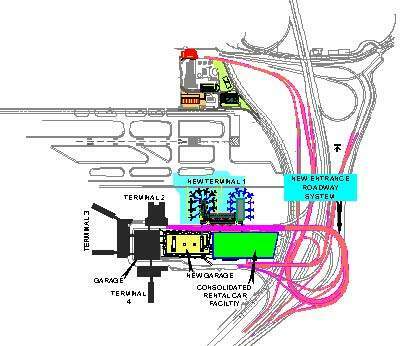 This is highly beneficial in airport surroundings. 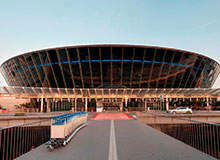 To guarantee environmental friendliness, natural and upcycled resources are used when producing the acoustic lights. Green Furniture Concept’s acoustic lighting comes in several different measurements and styles to suit individual interiors. The Leaf Lamp Pendants measure 130cm and feature warm-toned LED lighting to create a natural feel to the surrounding area. The Leaf Lamp Trees are supported by their strong base, which can be attached to the floor or placed in an optional container to enable movement at any time. With a variety of customisable shapes and scalable sizes, Green Furniture seating solutions are designed for any airport terminal. 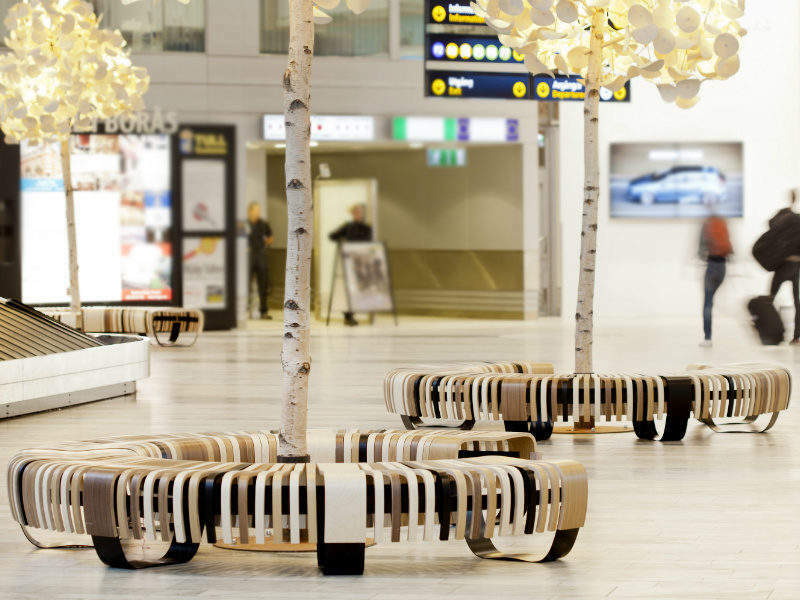 Green Furniture Concept designs modular seating, customisable for space-efficiency, and innovative lighting solutions for airports. 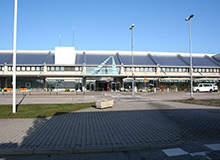 Paris-Orly Airport is located 14 miles (22.5km) away from the city of Paris, France. 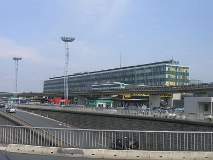 When opened in 1932 it was named as Villeneuve-Orly Airport. Seating is a significant factor in maintaining passenger satisfaction at airports. 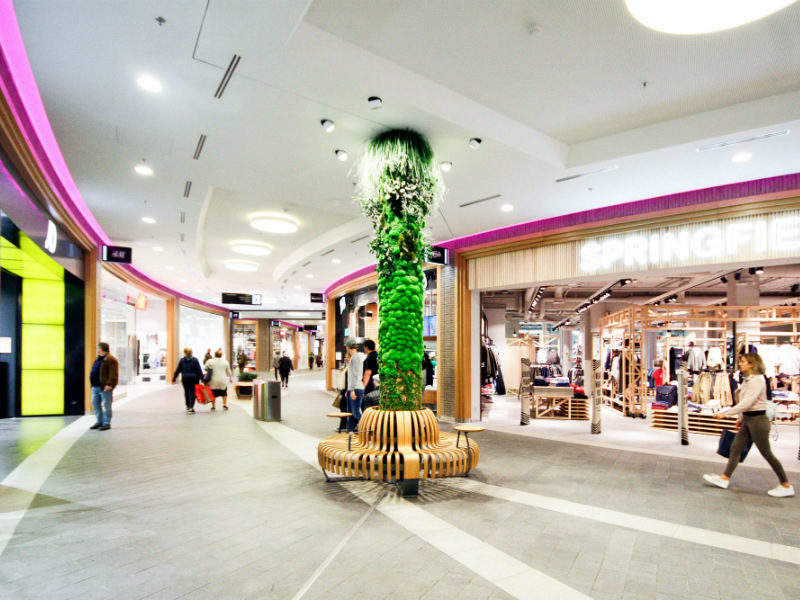 It gives consumers an opportunity to relax and unwind in the fast-paced environment. 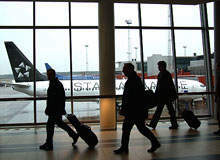 As passenger numbers grow, airport terminal managers need to find a solution to seat them. 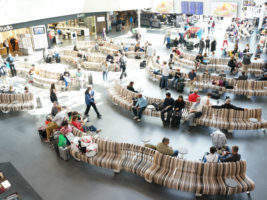 Adapting the functions of modern seating is key to generating increased business and improving the passenger experience.